Professor Frank Nicosia Publishes New Book and Receives Major Award. November was a very good month for Professor Frank Nicosia. 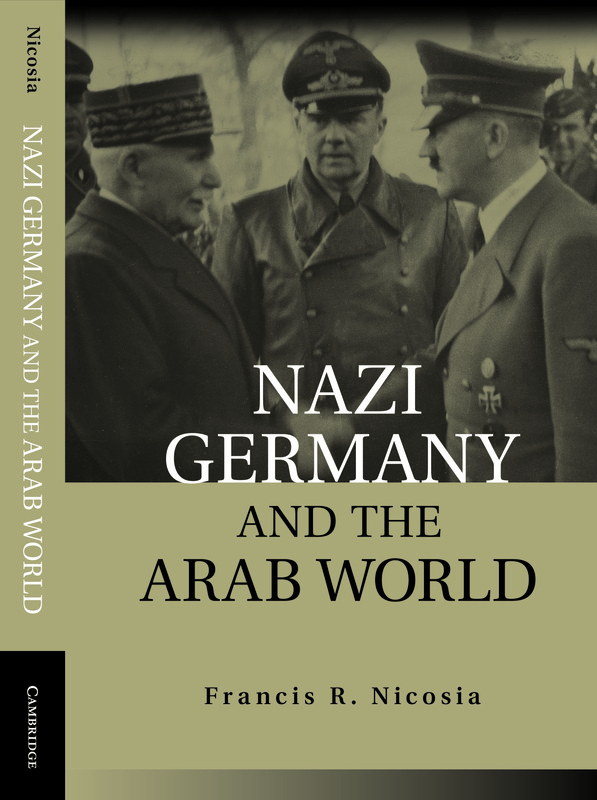 Firstly, he published his most recent book, Nazi Germany and the Arab World, with Cambridge University Press. Secondly, he received the “Distinguished Achievement Award” from the Holocaust Educational Foundation (headquartered at Northwestern University). It was given to him and to three colleagues in field at the biennial “Lessons & Legacies” Conference, held from October 30th-November 2nd in Florida. This award is given for scholarship, teaching, and service to the field of Holocaust Studies. The Department of History and the UVM community are extremely proud of Professor Nicosia’s accomplishments and we congratulate his heartily for his most recent publication and the well-deserved award. 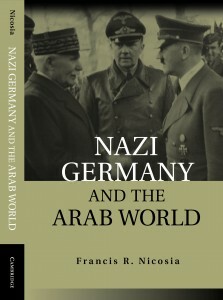 The cover of Professor Frank Nicosia’s most recent book. 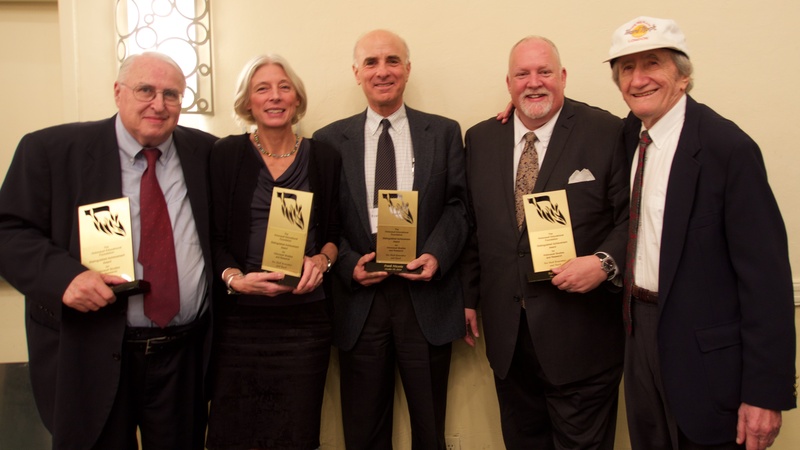 The four recipients of the “Distinguished Achievement Award” posing with Theodore Zev Weiss, a Holocaust survivor and the founder of the Holocaust Educational Foundation. Weiss is on the right; Professor Nicosia is third from the left in the picture.